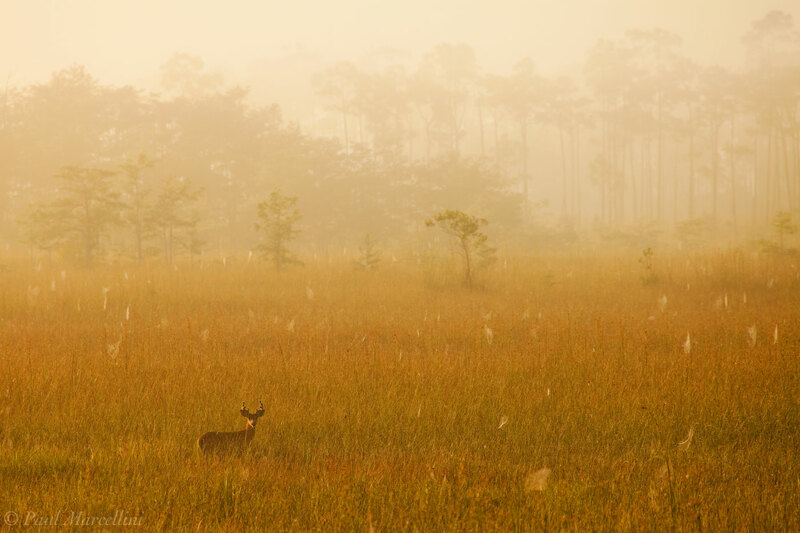 A lone White-tailed Deer (Odocoileus virginianus) in fog in the Everglades. Dew covered spiderwebs glisten in the morning light. Photo © copyright by Paul Marcellini.